Nanaimo home sales increased 59% in January 2018 when compared with January 2017. The average sale price increased 2%. The median house price was $499,900. Parksville/Qualicum home sales increased 9% in January 2018 when compared with January 2017. The average sale price increased 20%. The median house price was $532,500. 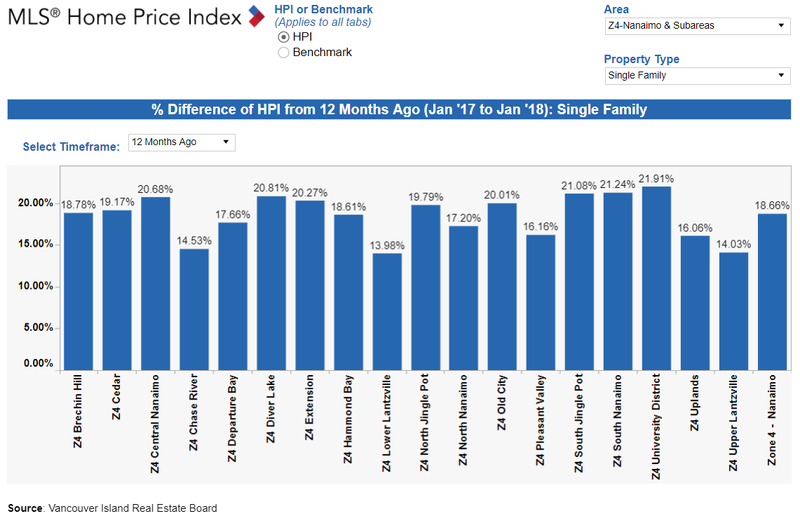 In Nanaimo for January 2018 there were 181 active listings of single family freehold homes, which is 8% lower then January 2017. The following graph shows what is called the absorption rate. This is the time it would take the current homes for sale, to sell, if no new homes were listed, which indicates whether we have a sellers, balanced or buyers market. The 3 rates are based on 1, 6 and 12 months of sales data.